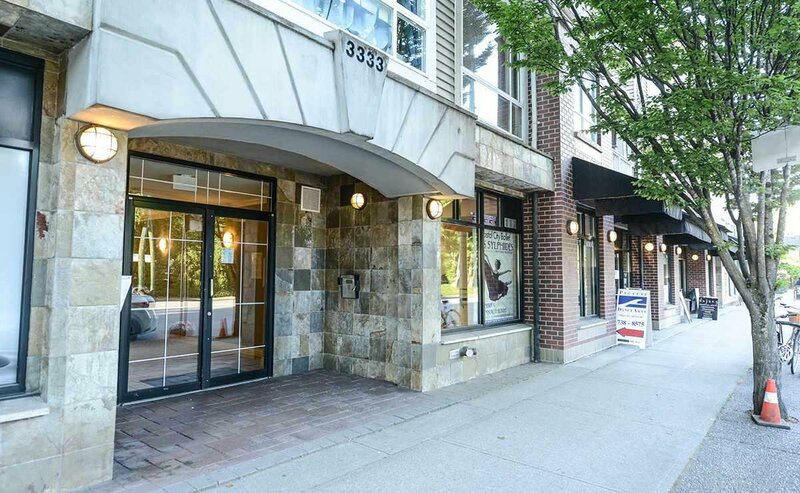 305 - 3333 W 4th Avenue, Vancouver - SOLD | Severo Dalla-Valle - Domicile Real Estate Corp.
"Kits Style Living" and all the convenience of the 4th ave. "Blenheim Terrace" extremely well maintained w/ a very proactive strata offering a corner/end, 2br 2bath unit on the quite side of the building. Suite is very clean and boasts an open kitchen w/ brand new quarts counters, gas fireplace (included in maint. fee), in-suite laundry and private balcony. Building: Roof done in 2014. 1parking/1storage. Rentals/pets allowed. Rentals as high as $2700/mo. Walking distance to all kinds of restaurants, coffee shops, all shopping, transportation, tennis court/McBride Park... Minutes drive to UBC, Kits & Jericho beach. Listings rarely available in this building. Open House Sat May 28/Sun May 29 2-4 pm.